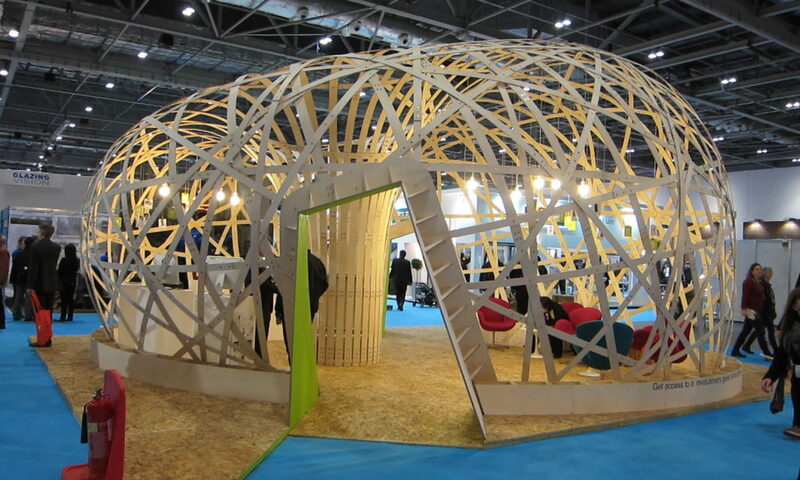 Active bending shell formed from plywood strips. Using a torus shape, the laths are placed along geodesics on the torus surface. Harding, J., Pearson, W., Lewis, H. and Melville, S. (2015) The Ongreening Pavilion. In: Block, P., Knippers, J., Mitra, N. and Wang, W., eds. (2015) Advances in Architectural Geometry 2014. Springer, pp. 295-308.